Net Weight: 60 ml., 125 ml. …in a lotion base with propylene glycol. The Cetaphil Cleansing Lotion (for sensitive skin) packaging consists of a white-blue paper carton with all necessary information printed on it. The product itself comes in a small white semi-transparent plastic bottle. The design is simple, the shape is adorable, and the structure is sturdy. It has a white flip cap tightly set at the top and the opening is enough to pour out required amount of lotion. The overall design of the bottle makes it quite a travel-friendly option. Being semi-transparent, it allows us to keep an eye on the product left inside. The lotion is creamy white in color with medium-to-runny consistency and a medicinal smell. Cetaphil cleansing lotion is a non-soap and liquid free lotion that allows gentle and thorough cleansing without the irritation associated with harsh soaps and cleansers. It is specially formulated to be non-drying and non-irritating. Its non-alkaline ph of 6.3-6.5 approximates the normal ph balance of the skin. It is fragrance-free and non-comedogenic. It has emollient properties, which leave the cleansed skin soft and supple. Mild yet effective skin cleansing for babies even during diaper rashes, cradle caps, etc. 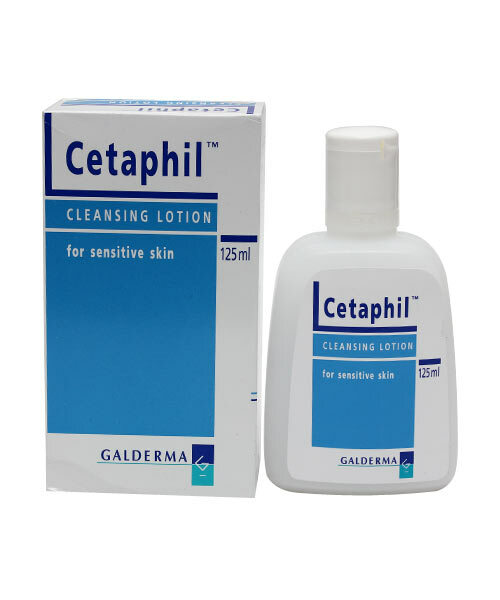 Cetaphil Cleansing Lotion (for sensitive skin) is an extremely mild cleanser that treats both dry and sensitive skin perfectly. It also works for combination skin to some extent. Even though it is a cleanser, it keeps the skin moisturized all day long. It has cetyl alcohol and stearyl alcohol as active ingredients which, being derived from natural fatty acids, work as emollients and lock in the natural moisture of the skin to keep it hydrated, soft, and smooth. This is certainly the best thing about the product. Moreover, it makes the skin absolutely free from dirt, oil, and all other impurities. Unlike other cleansers available in the market, it neither foams nor lathers. Rather, it feels like a gentle cream on the skin during application and makes the skin squeaky clean. Though not for a long time, but it can keep the skin oil and shine-free at least for some hours. Regular usage (twice or thrice a day) of this cleansing lotion heals the existing acne and prevents further breakouts positively. It is a great way to deal with rashes, redness, irritation, etc. effectively. It also works as a gentle makeup remover that eliminates makeup without causing any harm to the skin. 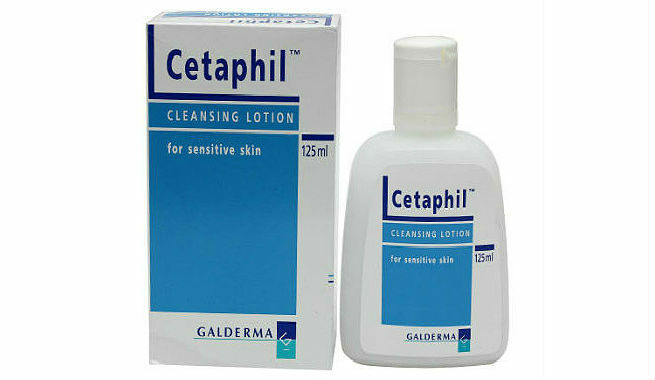 Apply Cetaphil Cleansing Lotion on moist skin and massage gently. Avoid scrubbing your skin. Rinse with water and pat dry with a soft towel. Alternatively, wipe off excess lotion with a soft tissue or cotton wool. Verdict: It is a blessing for the dry, sensitive, and acne-prone skin. However, oily-skinned people should use it only in winters.